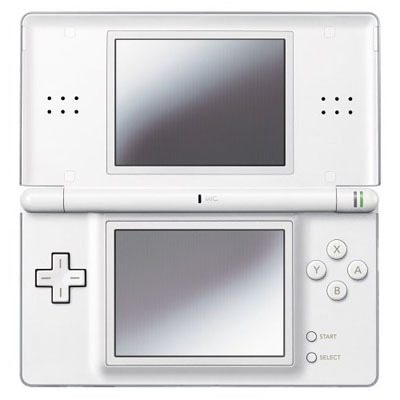 Nintendo has announced its newest portable gaming device: the Nintendo 3DS. The company provided limited information about the product at a press release in Japan, informing us that the new system will use two screens, will not require special glasses, and will be compatible with current DS and DSi games. Consumers can expect it, at the latest, to be sold in Japan in March 2011. The system may make an appearance at this year’s E3, with more details expected to be given before then. However, Nintendo has not released images of the device, its games, or how it is to be used for gaming. How will the 3D image be displayed? The current DSi uses its camera to allow players to pan around an area by tracking the motion of the system in relation to their eyes. It works surprisingly well; another version of this effect may possibly be used for the 3DS. The following is a video showing a 3D game on a DSi. Nintendo has a history of announcing seemingly silly products and features that eventually turn out to be a huge hit. The Wii had originally been scoffed at, until people saw how vastly popular it became. After the latest influence of 3D technology on the general population via movies like Avatar and the new release of 3D televisions, this eyewear-free, DS-game compatible 3D device may be the right product at the right time.